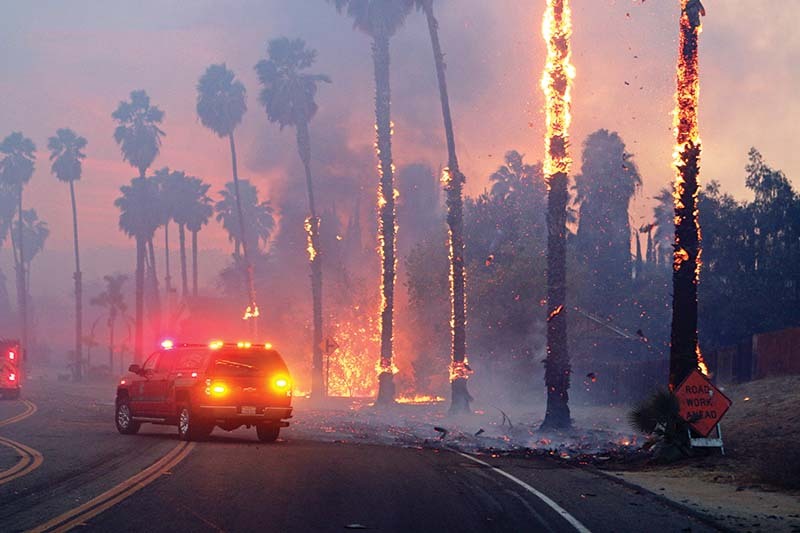 REGION — The U.S. House of Representatives passed a wide-ranging disaster relief bill on Dec. 21 that, if signed into law, would provide $81 billion for victims of recent hurricanes and wildfires, including the Lilac Fire in northern San Diego County. HR 4667 passed the lower chamber of Congress on a 251-169 vote but faces uncertainty in the Senate. According to news reports, Senate Minority Leader Chuck Schumer said it might be next month before the bill, which provides nearly twice the amount requested by the Trump administration, is taken up by the upper chamber. Schumer is demanding changes designed to boost aid for Puerto Rico and the U.S. Virgin Islands, partly in response to the recently passed tax bill. As currently written, the bill introduced by Rep. Rodney Frelinghuysen, R-New Jersey would spread large sums of money across many departments in the federal government, including $27.6 billion for the Federal Emergency Management Agency, $26.1 billion for Community Development Block Grants and $12.11 billion for the Army Corps of Engineers. Another $2.6 billion would go to the Secretary of Agriculture to reimburse for necessary expenses related to crops, trees, bushes, vines, and livestock losses; $81.3 million to NASA to repair hurricane damage to its facilities; $1.7 billion to the Small Business Administration for its disaster loans program; and more than $1 billion combined for the U.S. Centers for Disease Control and Prevention, Public Health and Social Services Emergency Fund, and child and family services provided by Head Start.